Hispanic Heritage Month is a national holiday in the USA. It is celebrated from September 15th to October 15th. 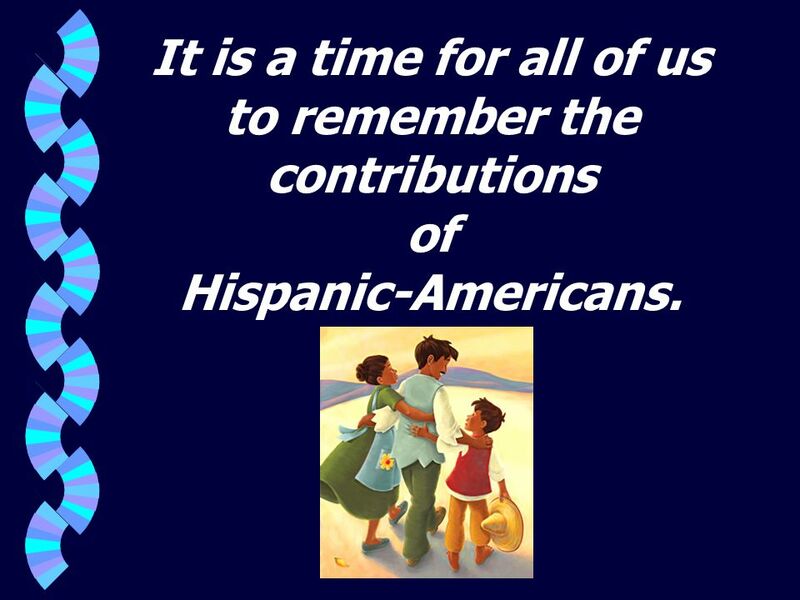 3 It is a time for all of us to remember the contributions of Hispanic-Americans. 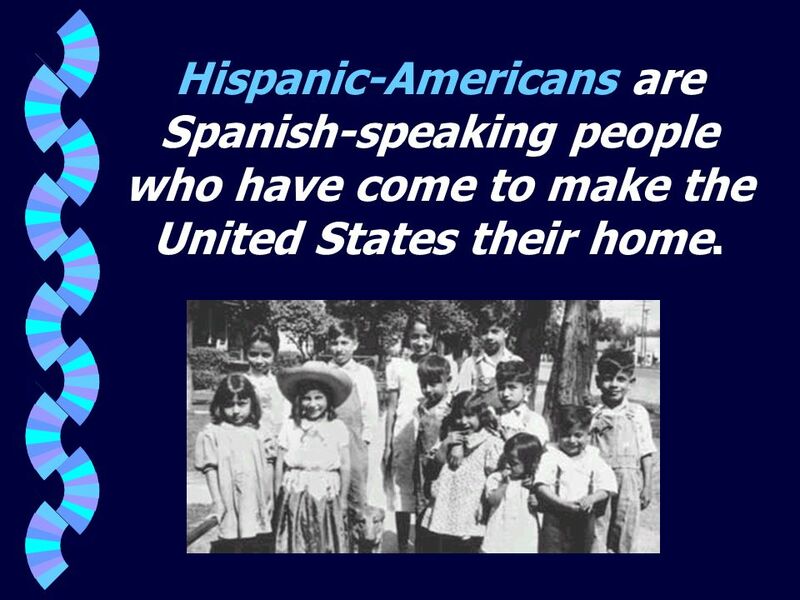 4 Hispanic-Americans are Spanish-speaking people who have come to make the United States their home. 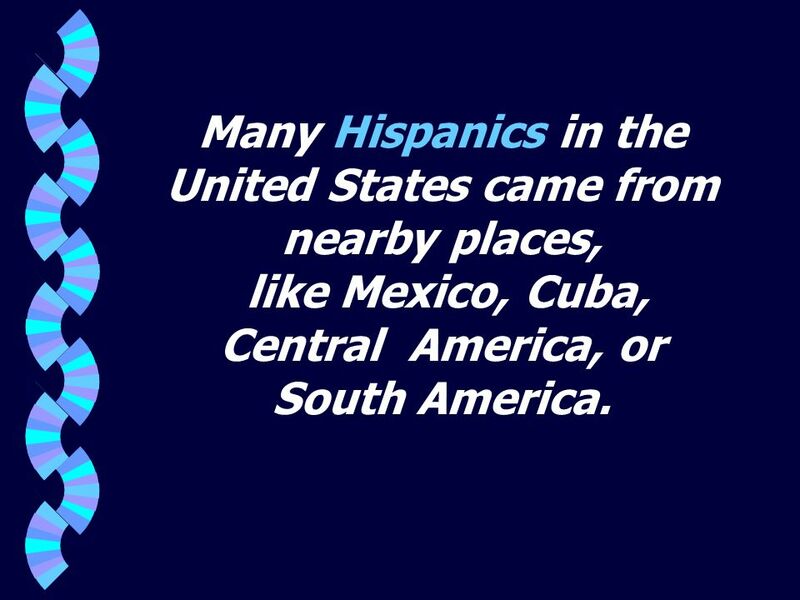 6 Many Hispanics in the United States came from nearby places, like Mexico, Cuba, Central America, or South America. 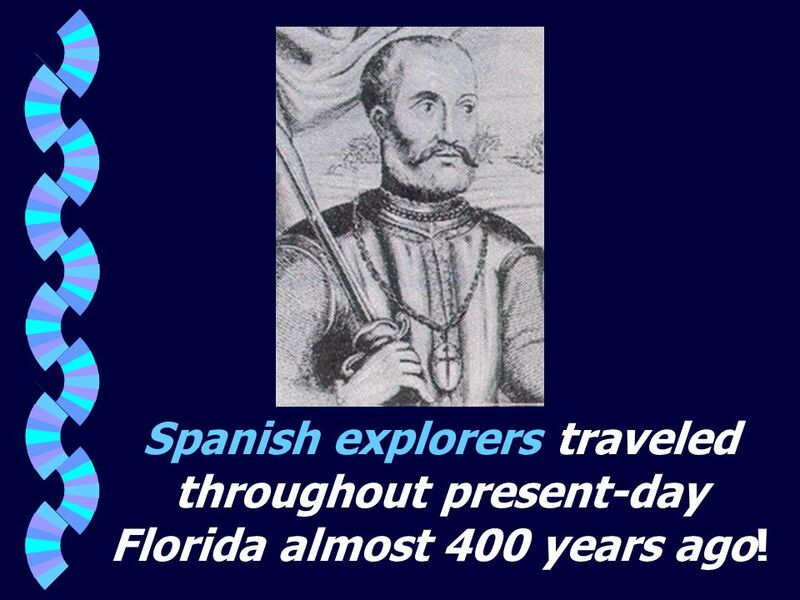 9 Spanish explorers traveled throughout present-day Florida almost 400 years ago! 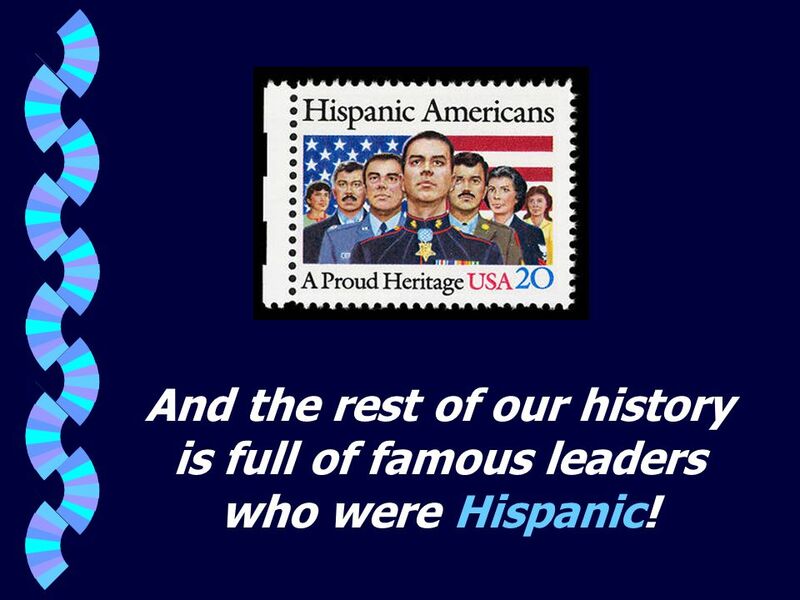 11 And the rest of our history is full of famous leaders who were Hispanic! 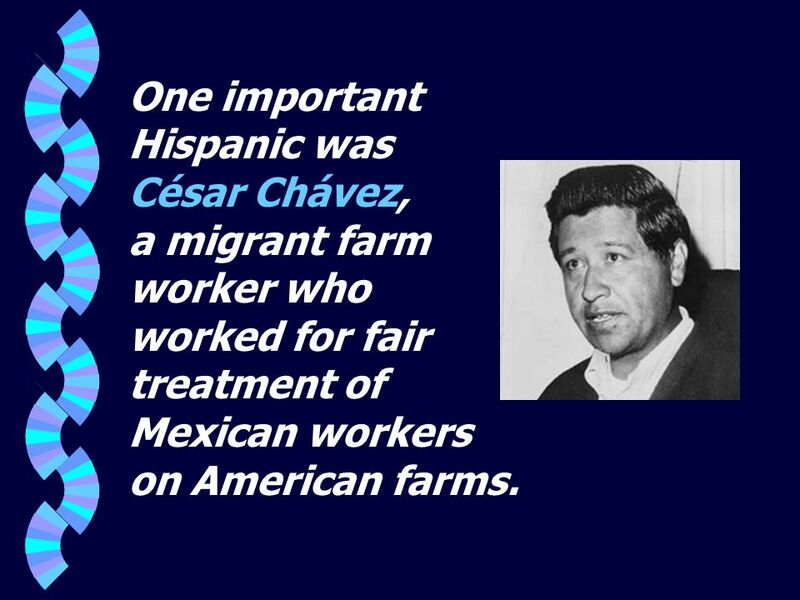 12 One important Hispanic was César Chávez, a migrant farm worker who worked for fair treatment of Mexican workers on American farms. 13 César Chávez co-founded the National Farm Workers Association and is famous for his slogan, “Sí, se puede” (“Yes, it can be done”). 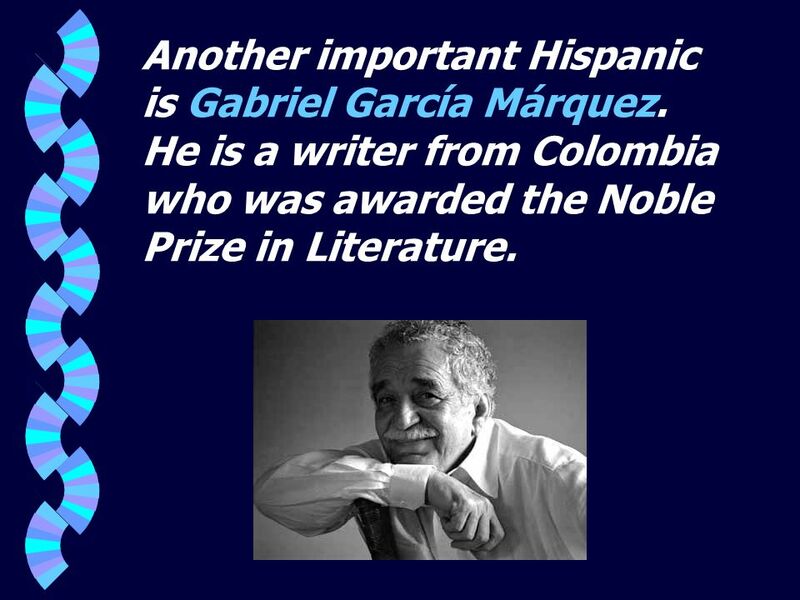 Another important Hispanic is Gabriel García Márquez. He is a writer from Colombia who was awarded the Noble Prize in Literature. 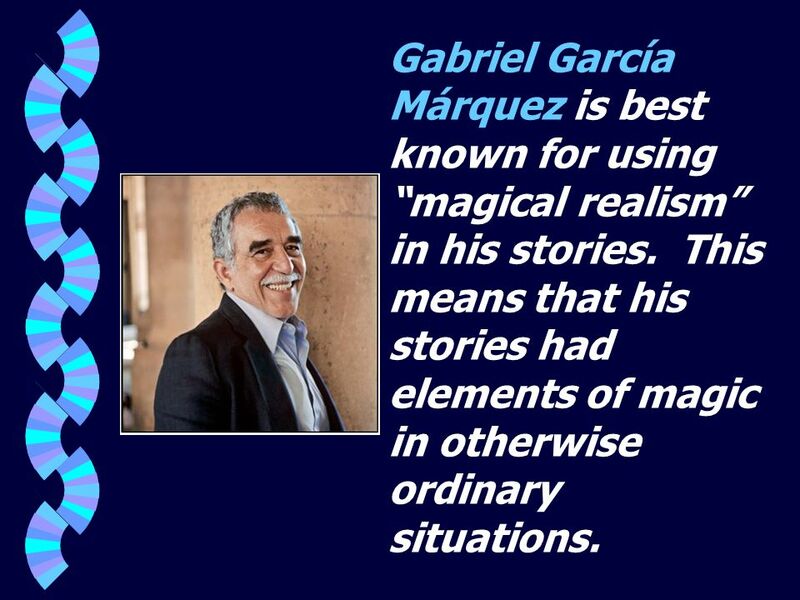 16 Gabriel García Márquez is best known for using “magical realism” in his stories. This means that his stories had elements of magic in otherwise ordinary situations. 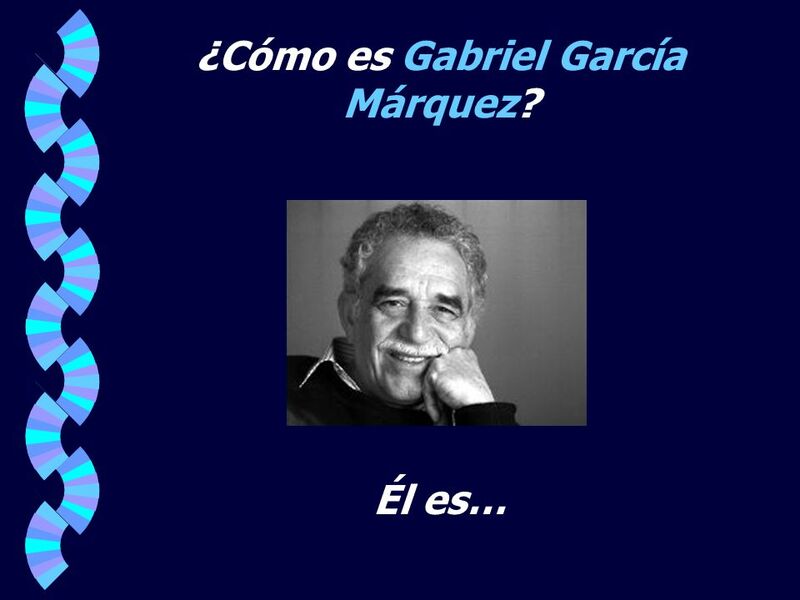 17 ¿Cómo es Gabriel García Márquez? 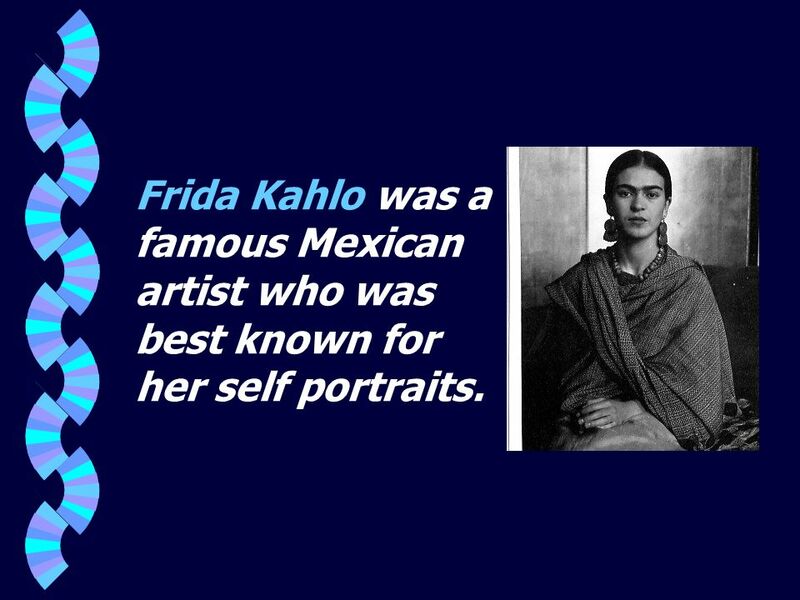 18 Frida Kahlo was a famous Mexican artist who was best known for her self portraits. 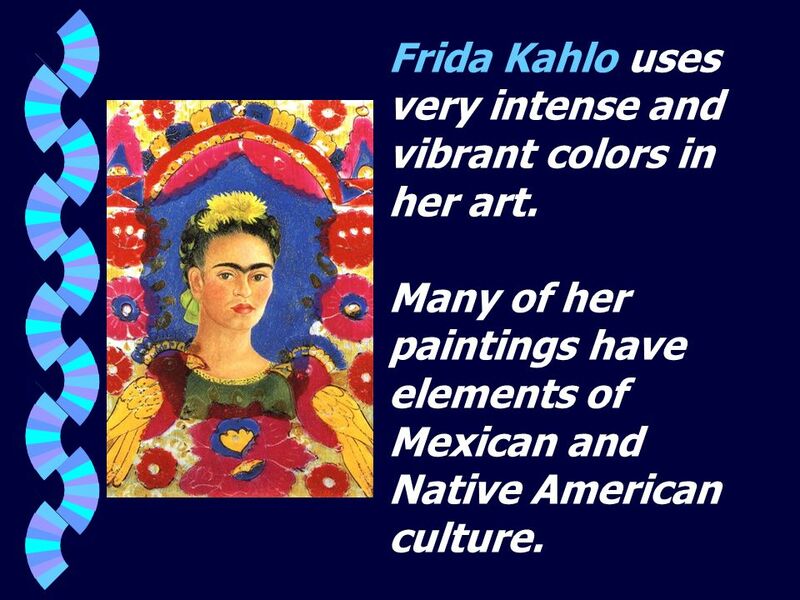 Frida Kahlo uses very intense and vibrant colors in her art. Many of her paintings have elements of Mexican and Native American culture. 21 Antonio Banderas is a famous actor from Spain who became very popular in the United States. 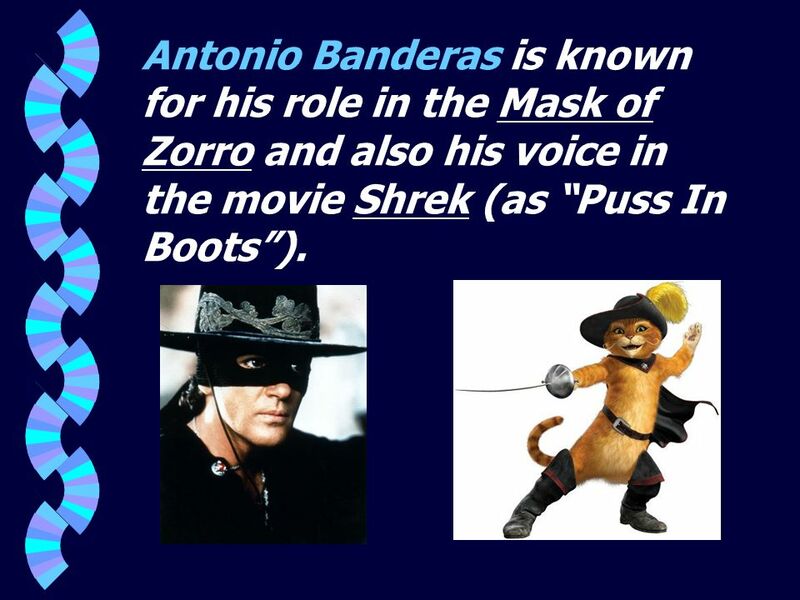 22 Antonio Banderas is known for his role in the Mask of Zorro and also his voice in the movie Shrek (as “Puss In Boots”). 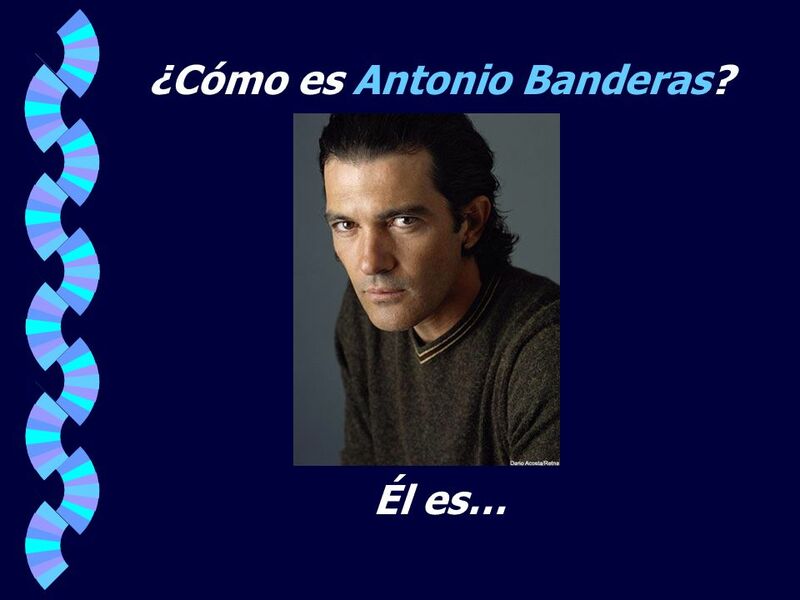 23 ¿Cómo es Antonio Banderas? 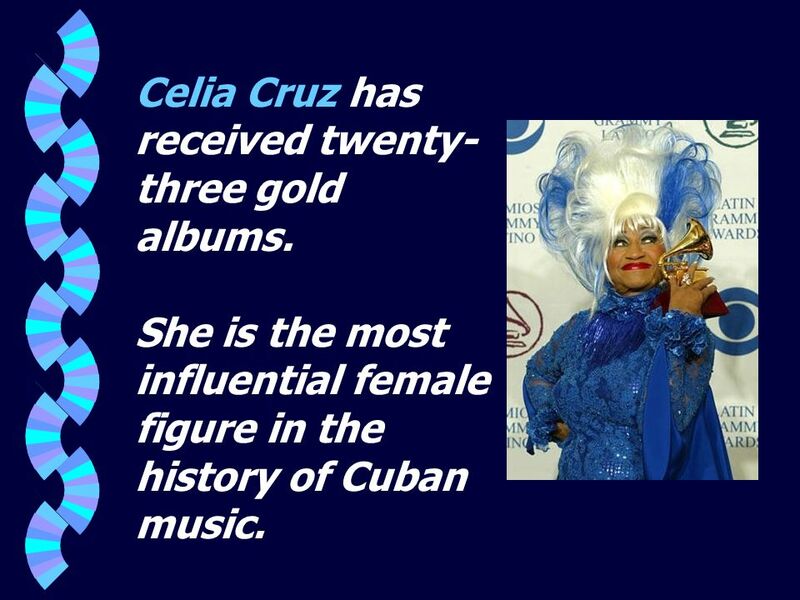 Celia Cruz was a famous singer born in Cuba. 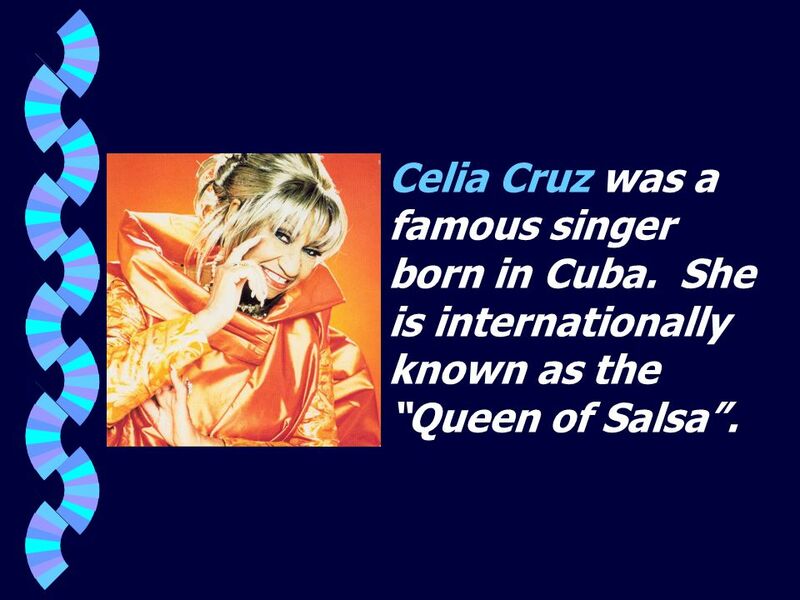 She is internationally known as the “Queen of Salsa”. Celia Cruz has received twenty-three gold albums. She is the most influential female figure in the history of Cuban music. 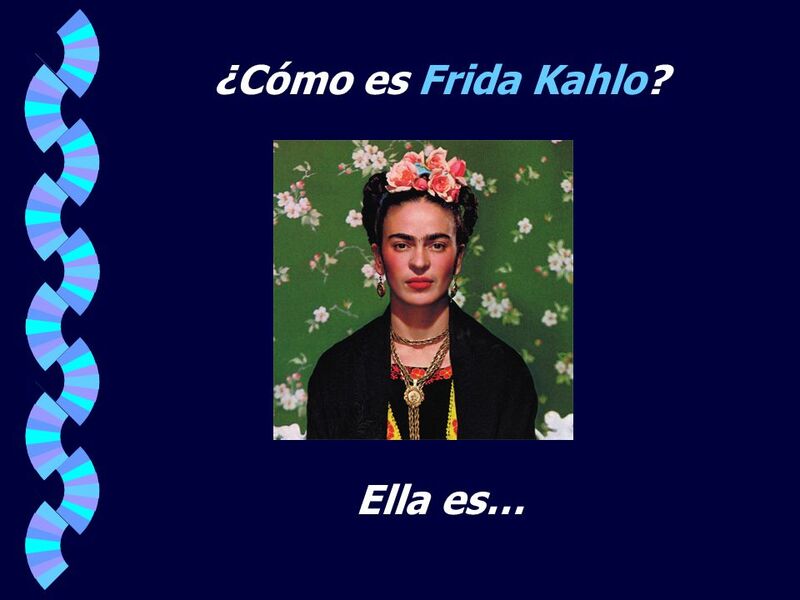 Download ppt "HISPANIC HERITAGE MONTH"
¿Quién es Quién? 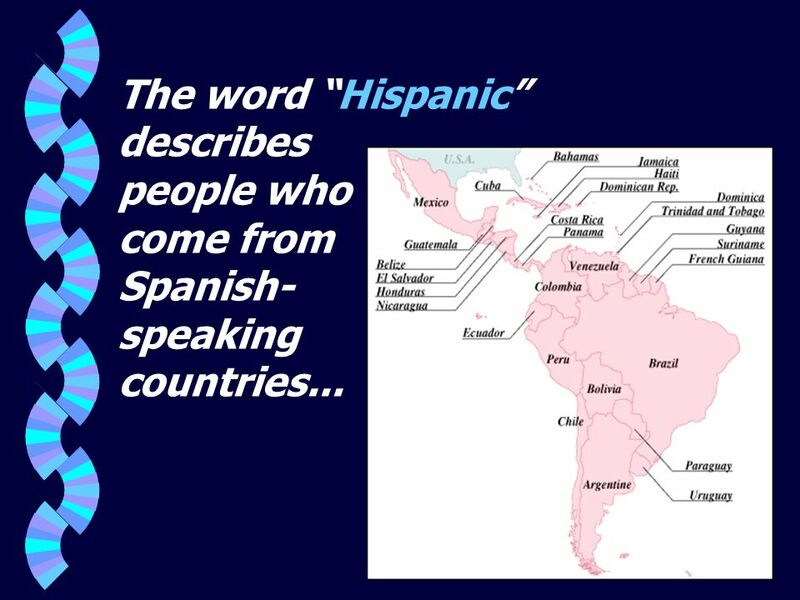 Whos Who in Hispanic Heritage?. This Olympic Gold Medal-winning Mexican American is nicknamed "Golden Boy," and released a self-titled. Si Se Puede!. Si, se puede! is Spanish for yes, it is possible. 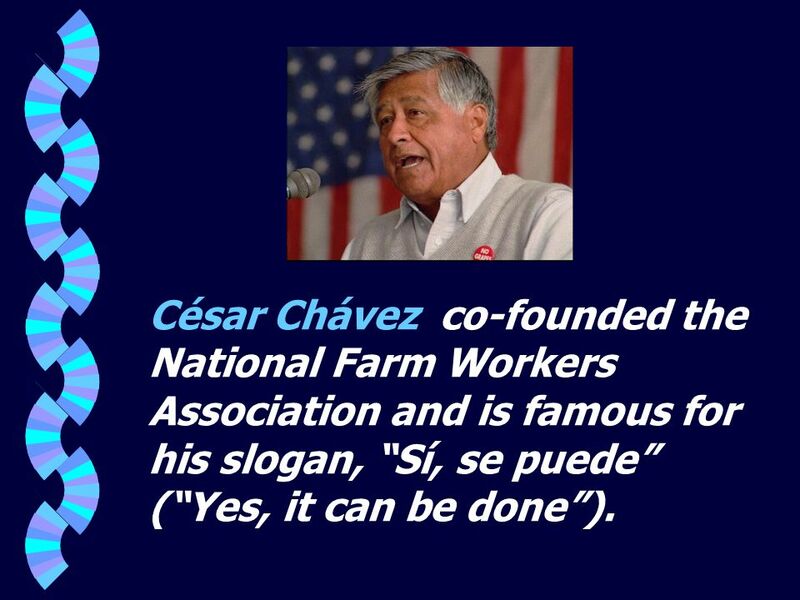 The UFW uses the translation: yes, it can be done. This slogan was coined by Cesar Chavez. Hispanic Heritage Month Presentation. 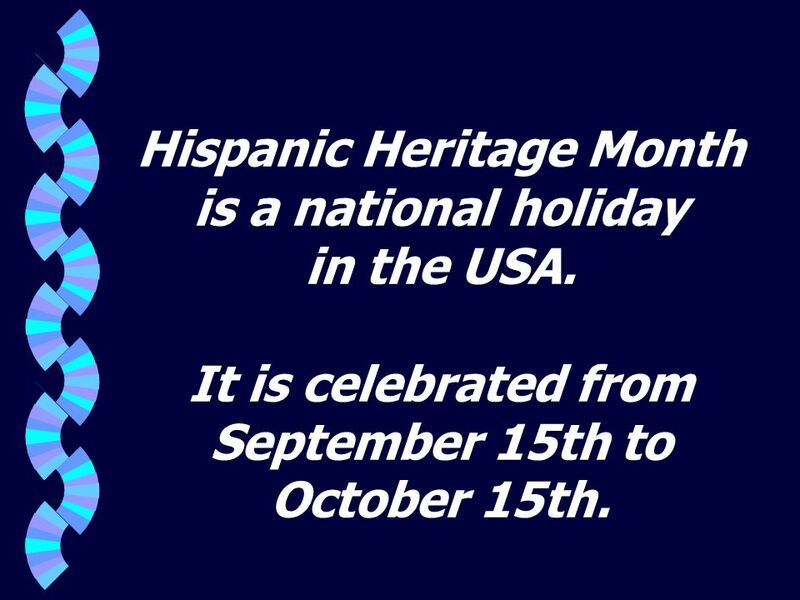 Introduction Hispanic Heritage Month is a national holiday in the USA. It is celebrated from September 15th to October. Frida Kahlo …I paint self portraits because I’m the person I know best. Self Portraits and Magic Realism. 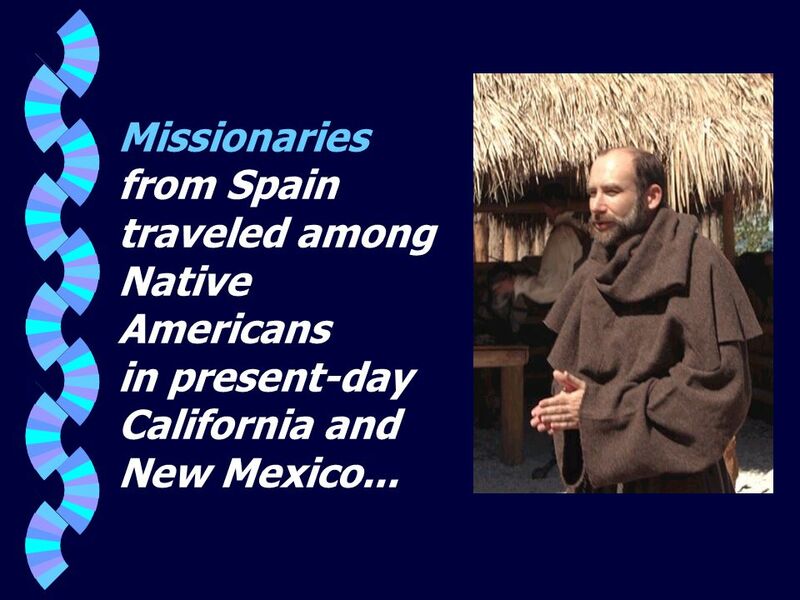 The California Missions El Canimo Real traditionally refers to the 650 mile long trail that links the 21 missions, two pueblos and four presidios from. Famous Latino Actors and Singers What does Latino mean? What does Latino mean? AMERICANS who have parents or grandparents or indeed themselves were born. Hero Hall of Fame. What do you think a hero is? Many times, our heroes those who speak for others. QUESTIONS 1. What are the two types of cultures present in latin america? 2. What are the languages spoken in LA? 3. In which countries do the Amerindians. Part 1 Lessons 1&2. Some of the first explorers were the __________. VÁMONOS w Answer the following questions: 1. 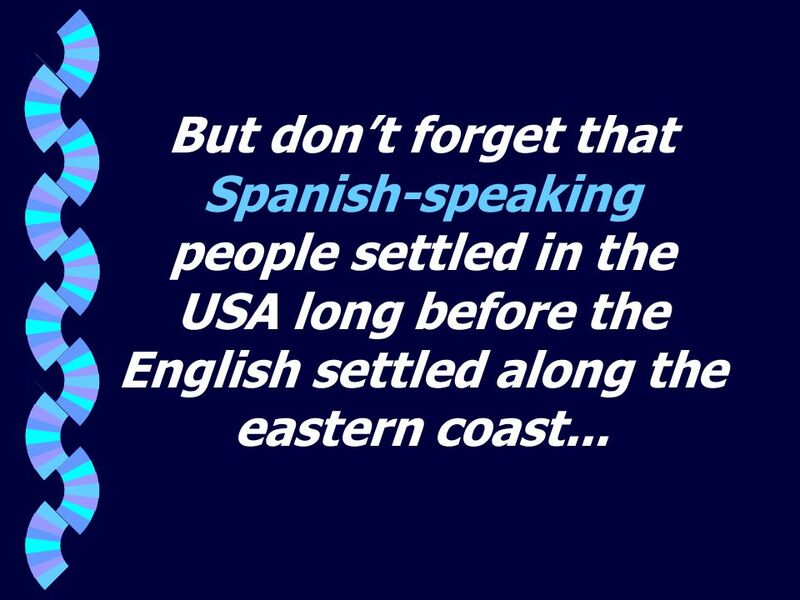 When is Hispanic Heritage Month? 2. 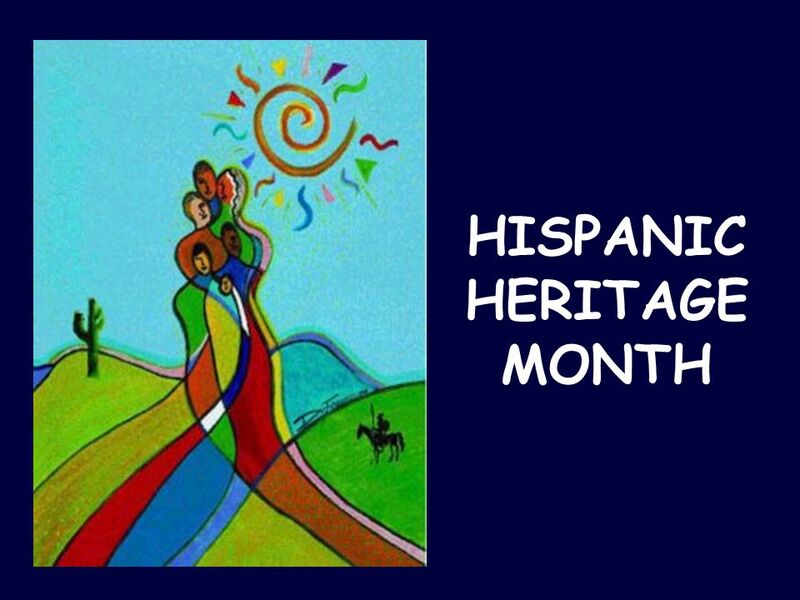 What is the purpose of Hispanic Heritage Month? 3. Who are some famous. JEOPARDY Art, Music & Dance Food & Drink Celebrations & Holidays Famous Spaniards Spain Mix Q $300 Q $400 Q $500 Q $100 Q $200 Q $300 Q $400 Q $500 Final. 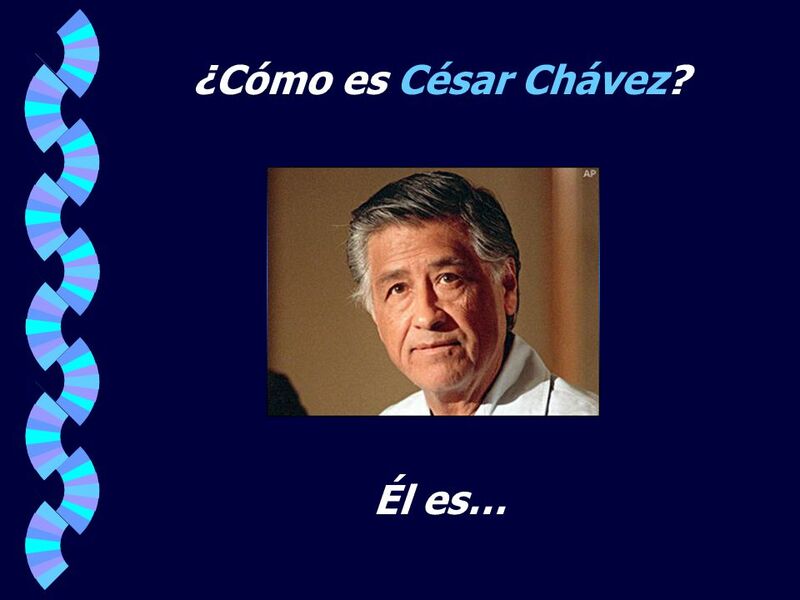 Cesar Chavez Civil Rights Leader. Migrant workers were hated by many whites because they were of Mexican descent. 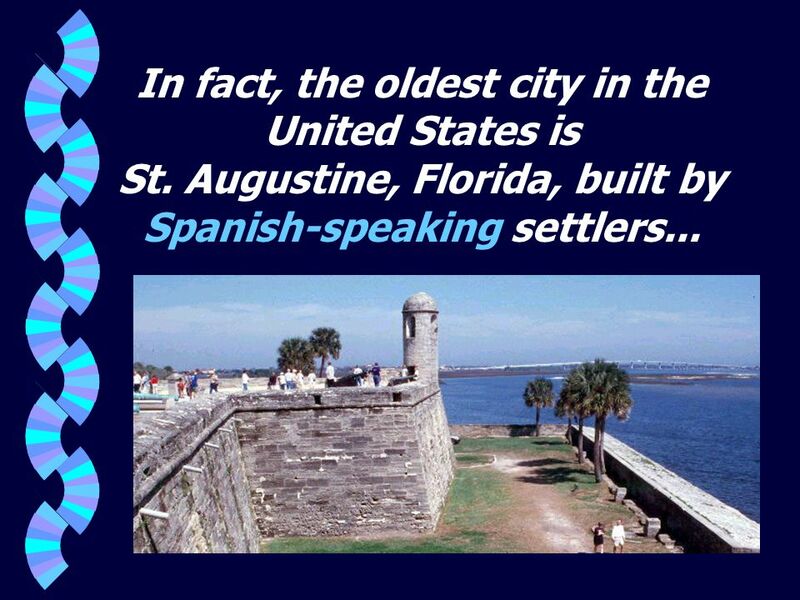 Objectives Describe Spain’s colony in Florida. HISPANIC HERITAGE MONTH. Hispanic Heritage Month is a national holiday in the USA. It is celebrated from September 15th to October 15th.